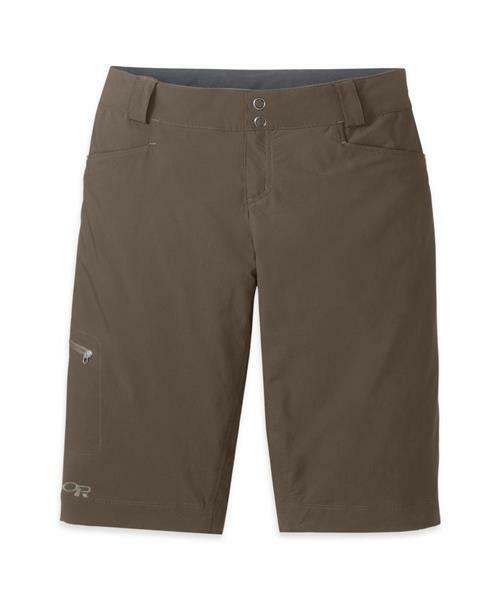 The Ferrosi Shorts™ are ideal hiking and backpacking soft shell shorts: lightweight, rugged, wind resistant and highly breathable, with ample stretch for smooth movement during long strides. Outdoor Research Athlete Ambassadors and employees invariably turn to these soft shell shorts for hiking, backpacking and more. Ferrosi Shorts, 13" Inseam - Womens is rated 5.0 out of 5 by 1. Rated 5 out of 5 by GRCown from BestShorts EVER! I bought 2 of the longer inseam shorts and also a shorter inseam with the same waistband and zippered pockets. These shorts are light and very comfortable.